As fans gear up for the Olympics and the NCAA women’s teams report for practice, the new owners of Volleyball magazine launched an enhanced VolleyballMag.com on Monday. The new VolleyballMag.com features a modern, attractive design and provides followers of this popular sport the most voluminous and in-depth coverage volleyball has ever seen. Co-publishers Ed Chan and Lee Feinswog, who bought the magazine this spring, are excited about converting from print to digital. Publisher Chan, one of the most prolific volleyball photographers in the world, is the driving force behind VBshots.com, likely the largest website of volleyball-only photos, containing over 100,000 photos spanning more than ten years. What's more, Chan is an accomplished writer and an expert on beach volleyball. Feinswog, an award-winning sportswriter, author and TV host, is the founder and editor of DestinationVolleyball.com, now part of VolleyballMag.com. His in-depth feature stories and video chats will be a staple of VolleyballMag.com. VolleyballMag.com also features a newsletter sign-up for regular updates about volleyball, a calendar of events and a hub for its social media content. 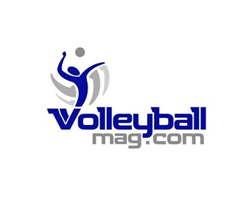 VolleyballMag.com is the go-to destination for news about of volleyball in America, featuring coverage of beach, junior girls, NCAA Men, NCAA Women and professional volleyball. Follow along with its coverage on Facebook, Twitter and Instagram.